The Career Ladder is Dead. How Can Women Grow Professionally? Katy Tynan is an expert in the future of work. 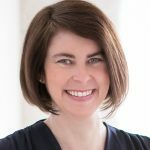 She is the author of Survive Your Promotion, and her upcoming book is How Did I Not See This Coming: The New Manager’s Guide to Avoiding Total Disaster (ATD Press, November 2017). Tynan is chief talent strategist at CoreAxis Consulting. It’s hard to imagine, but just a few decades ago, women’s careers consisted of just a small handful of roles, including teaching, nursing, and caring for children. Today we find women working in nearly every field, and at every level of the organization, and we continue to see growth in opportunities throughout the working world. 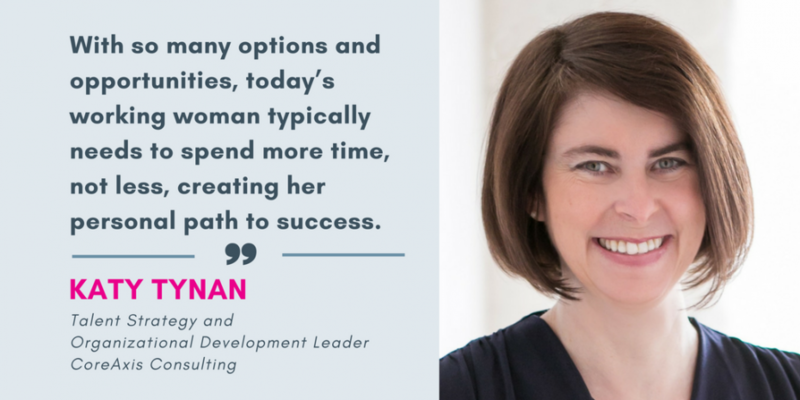 With so many options and opportunities, you might think it would be easy to navigate your career successfully, but with so many options, today’s working woman typically needs to spend more time, not less, creating her personal path to success. The old model of career development was based on the concept of a ladder. You started at the bottom, and with each promotion, you worked your way up, gaining new responsibilities and (ideally) a higher salary along the way. That old model has largely gone by the wayside today, because the average person changes not only jobs, but careers, multiple times over the course of their working life. There are no straight lines in career development today. In fact, the model we most often use when discussing career paths is the “lattice” model, or what I call the career jungle gym. Picture a playground with a big jungle gym in the middle. You can start from anywhere, and there are many paths from one side to the other. Instead of having to follow a defined set of steps from point A to point B, you can choose your own adventure. Being successful in the lattice career model is a bit different than getting ahead in the old model. Here are some things to keep in mind as you develop your career. Hard Skills are Great but Soft Skills are Better: While many career paths require you to have technical knowledge, that’s only part of the equation when you think about what you need to get ahead. Hard skills and certifications are your ticket to entry, but new opportunities come from combining those hard skills with communication and collaboration skills, business acumen, and a strong network. Never Stop Learning: If you think you can stop learning just because you’re out of school, it’s probably time to think again. Today’s jobs are creative, and technology is bringing us new ideas and new tools every day. Be a lifelong learner, and if your company doesn’t offer professional development, go out and find ways to learn on your own. Be Open to New Experiences: While classroom learning is great, being able to apply that learning in the real world is even more important. There are opportunities to expose yourself to new ideas all around you. Ask to join a project or be part of a committee. Find ways to try new things, even things that scare you. Expand your own comfort zone. Redefine Success: The best part about the jungle gym or lattice model, as opposed to the old ladder model, is that there are many ways to define success. Making it to the top is not the only option. You can find a career that fits with your own life goals and preferences, rather than being pushed into a one-size-fits-all concept of what success looks like. The corporate ladder has evolved into a new model. Careers are more complex, but also more flexible and more interesting than ever before. That’s great news for all of us, but managing your career in this new paradigm means taking charge of your own personal growth and development. In order to do that successfully, you’ll need to create a plan of action that will guide you towards your hopes and dreams, and leverage your network of friends, family, and professional contacts to find new opportunities, and create the career you’ve always wanted.